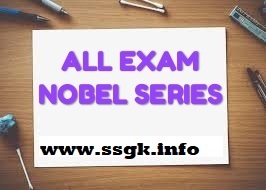 Hello Friends, Welcome to the ALL EXAM NOBEL PRIZE SERIES Section of GK Today. These are fact-based questions written mainly for aspirants of GPSC, BINSACHIVALAY, SSC, JR. CLERK, TAT, TET, HTAT, POLICE CONSTABLE, MUKHYA SEVIKA, TALATI, NAYAB CHITNISH and other examinations of similar nature. Currently, we update 20-30 questions roughly every day.